Not a closed station of course and never will be. 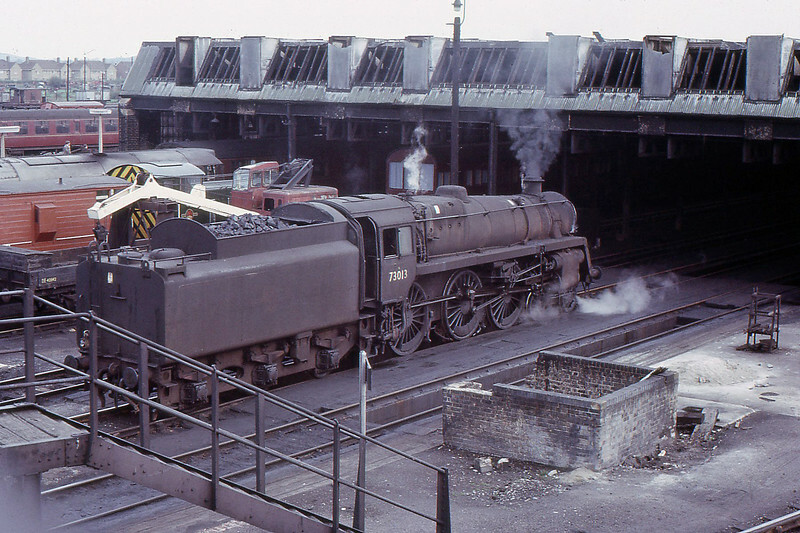 I have used a bit of license here to show Roger's excellent atmospheric shot of Cambridge Steam Shed (31A) in May 1964, probably around the time of closure. It shows Class 5MT 4-6-0 Number 73013. An 03 and a Class 31 lurk in the background. The shed used to be next to platform 6 at the station. A car park now occupies the site. Image taken from Devonshire Road footbridge. Image with kind permission of Roger Leitch.